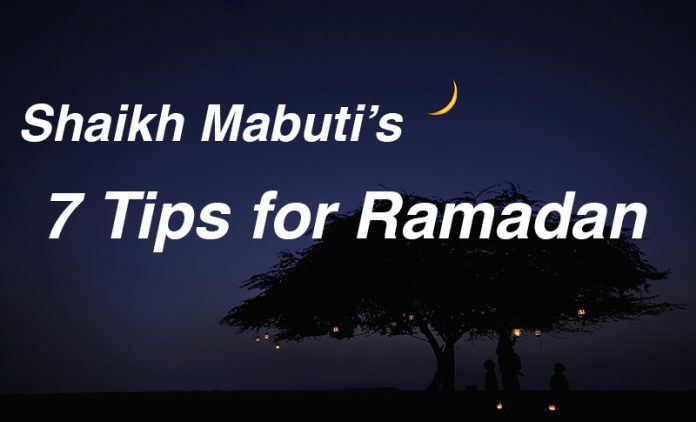 Shaikh Mabuti’s 7 Tips To Ease Into Ramadan The first few days of fasting can be tough, but these tips from Shaikh Khalid Mabuti make the transition into the holy month a breeze. Shaikh Mabuti presents 7 Tips to make the transition into Ramadan a bit more smooth. For many Muslims, Ramadan serves as a time for reflection and spiritual calibration. The first few days of fasting, however, can prove to be a challenge. Don’t fret. Shaikh Mabuti presents these tips to make your transition into Ramadan smooth and easy. Tip #1 – One way to alleviate hunger pangs during the fast is to eat a sandwich in the middle of the day. Tip #2 – Remedy caffeine withdrawal symptoms with a rigorous waterboarding session by the FBI agent at your closest mosque. Tip #3 – Simulate eating a meal by placing the burger emoji near your mouth in your daily Snapchat selfie. Tip #4 – For suhoor, consider foods that are high in potassium and 18-hour sleeping pills. Tip #5 – Lose your appetite by staring into Donald Trump’s flaky, orange skin as he threatens to ban next year’s Ramadan in the USA. Tip #6 – Select the ‘Perform my Islamic duties for me’ option on TaskRabbit. Tip #7 – Since fasting isn’t required of the traveler, take a flight from Chicago to New York with 37 stops on Southwest Airlines. Don’t speak Arabic on the plane though. They’ll kick you off, and you may have to start fasting again.